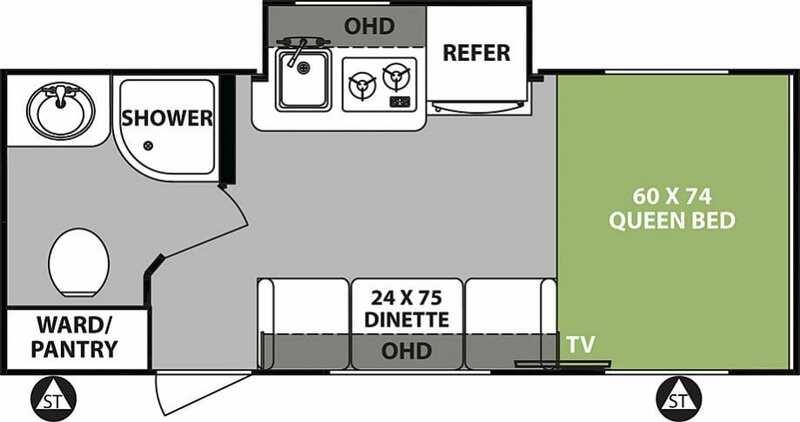 R-pod travel trailers arer the first of their kind to offer you affordable luxury at the lowest tow weight in its class. The r-pod is a perfect example of “form follows function,” with its unique shape and construction! To view all of our inventory, click here. R•pod puts the “fun” in functional. R•pod comes standard with a 3.7 cubic foot 3-way refrigerator that provides you with enough space for all those extended camping trips. R•pod’s interior comes equipped with residential cabinetry, hardwood drawers and expandable cargo netting for additional storage wherever possible. Classic styling, modern features. 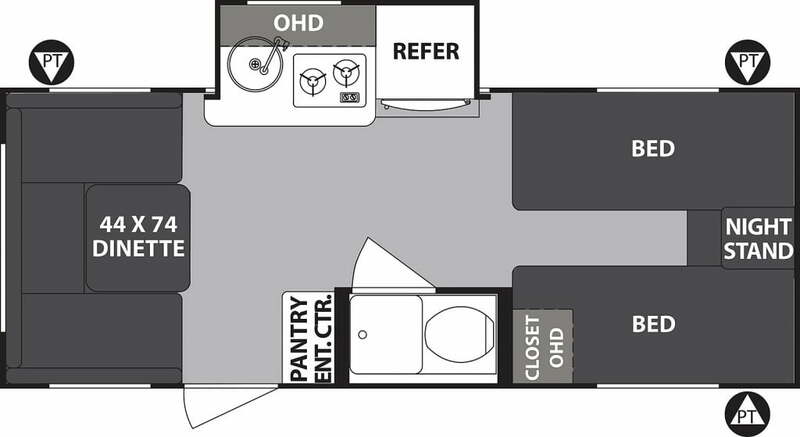 The standard package comes with bluetooth stereo, pleated night shades, 4-speed Maxxair® Fan, 3-way refrigerator, 2-burner recessed cook-top with flush mount glass cover, seamless kitchen countertops with undermount stainless steel sink, E-Z Glide dinette table, front and rear stabilizer jack, spare tire, folding assist grab handle, black tank flush, Go Power solar charging port, independent axle, with ultra-lube hubs, aluminum rims, friction hinged entrance door, magnetic baggage door catches, detachable power cord, LP quick disconnect, 15″ tires, double aluminum steps and more! 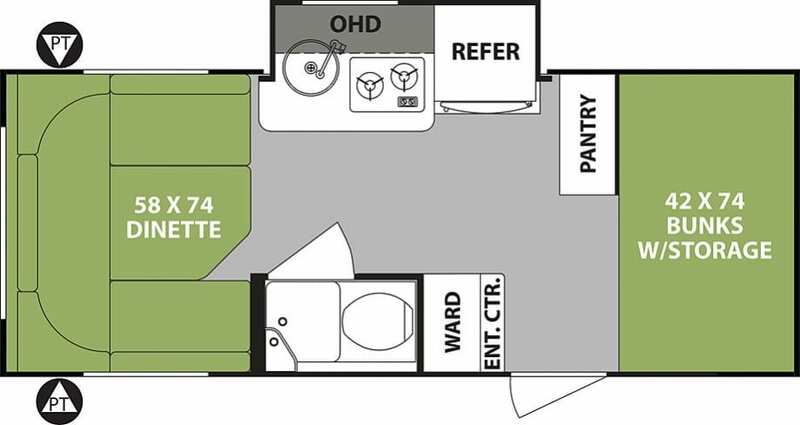 There are 11 floor plans available with a variety of space choices, and add-on packages available, too. 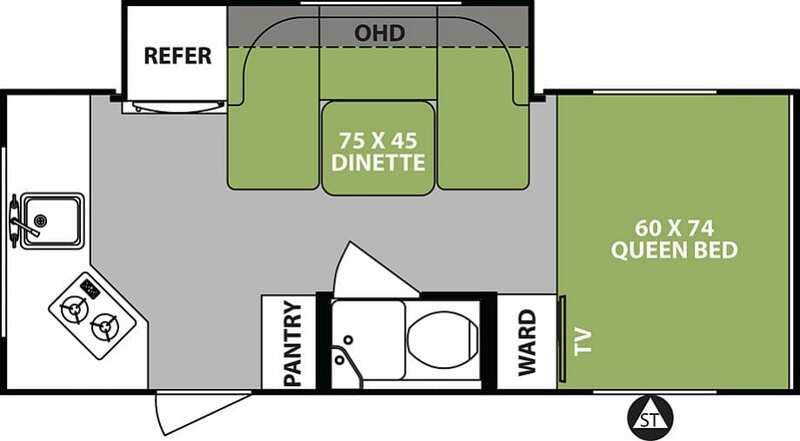 One R•pod model has a rear garage with outside entertainment center, allowing you to enjoy the great outdoors! 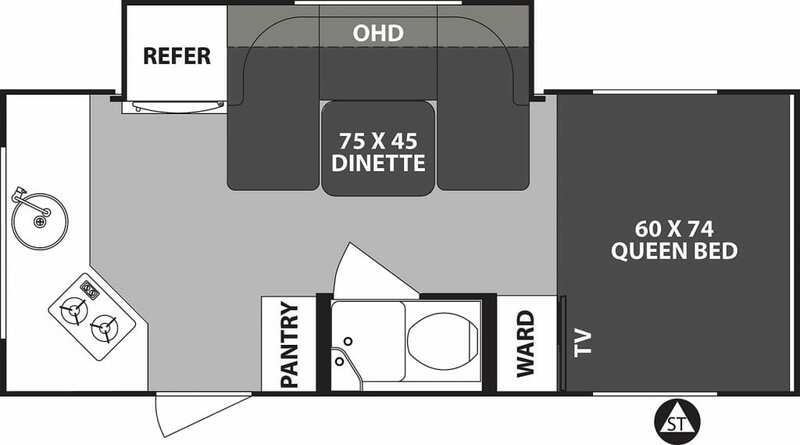 Each garage model comes standard with a 24” LED TV, (2) marine grade speakers, and a free standing gas grill. Garage models are equipped with the exclusive Versa-Trac™ sliding storage system with removable wire baskets and hooks. There are also cargo storage nets and an adjustable hanging pocket organizer. The built-in sink with 15’ detachable sprayer hose and durable metal countertop makes clean up a breeze. 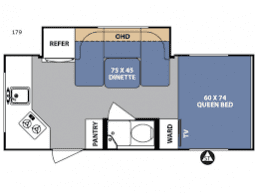 One of the best features of this 18-20 footer is that the towing capacity works with most mid-sized SUV’s. You don’t need a huge truck to pull it. Read more on our blog site.